Well I am here to help answer that. I put this article together as a quick reference point and will soon be releasing a more comprehensive guide for those of you that are super excited about getting started. For now here are my top tips for newbies. 1. Start Learning – Get some knowledge: start reading blogs, books, listening to audiobooks, podcasts etc.. You don’t need to be an expert, but you do want a basic level of knowledge so you feel more comfortable going into an investment and are more prepared. 2. Know Your Words – Start to understand the terminology used in real estate circles. When you start speaking to other more experienced investors you don’t want to look silly by not knowing the basic terminology. If you don’t know what something means don’t pretend you know just be honest and say you are new to it all. Most of the terminology you will pick up from the reading and listening you will be doing from point 1. 3. Know Your Numbers – This is critical. Get comfortable working out costs, values, yields, return on investment etc.. Make sure you work through all the numbers before heading into any investment. These are what determine whether you make the £30,000 profit or achieve 7% yield or actually lose money, you need to get it right. Here are a couple of the calculations to get you started. 4. 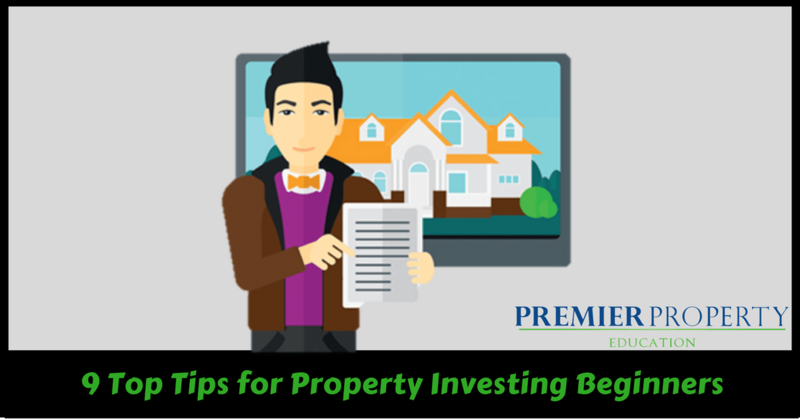 Scope Out Multiple Areas – Before you commit to an area to invest in check out a few different places. I usually recommend 5 different locations. Spend a day driving round, walking round, viewing properties and questioning the local agents to get a good feel for the place and questioning the local agents. Do your numbers for each area and decide which area works best for your goals and feels like a good fit. 5. Do Your Homework – When you get to the stage where you are making offers or investment deals are coming to you, YOU have to do the due diligence. Check the valuations are accurate and not being inflated. Check the numbers all stack up whether you aim to buy and rent or buy and sell. You don’t want to commit to a deal and then find out the valuation was inflated by 10%, this could wipe out any profit. 6. Don’t Force It – In the beginning you will be so excited to get started and desperate to get an offer accepted. I am here to tell you don’t force it. Have a max price and don’t go over it. As soon as you start compromising on the numbers you originally have done you are putting huge amounts of pressure on yourself to deliver exactly as planned. Be patient; the deal is coming. 7. Always Have Multiple Exits – With any investment deal have multiple exits mapped out. 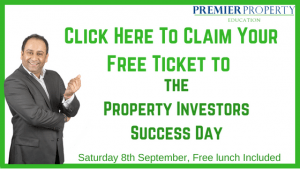 If you can’t sell the property, will it rent and make a profit? Can you afford to lower the price, can you refinance to get the initial cash investment back? These are just a few of the questions you want to be asking yourself. 8. Get Networking – Go to some local investor networking events, connect with people on LinkedIn etc.. You will find that there are a lot of investors out there willing to help, answer your questions and give you advice. You just have to join those networking avenues and start creating relationships. 9. Know Your Goals & Your Sacrifices – How badly do you want to create financial freedom? How quickly do you want to get it? The more you want something, the more you will be willing to sacrifice and the faster you want it, the more you will have to sacrifice. The reality is that this takes time and commitment, are you going to sit on the computer after work for a few hours searching for properties and booking in viewings? You need to get the balance right. For some people they can only commit to 4 hours a week to creating financial freedom, which is fine but the sacrifice is that they won’t reach financial freedom as fast. You get the idea.